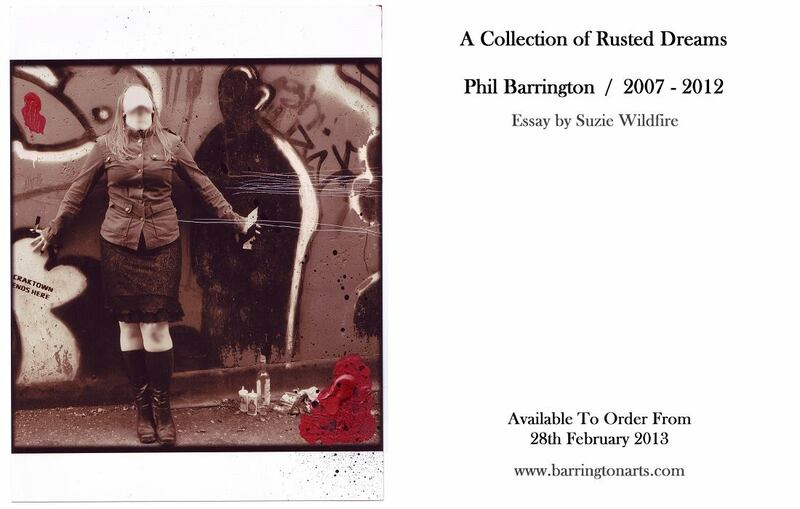 Phil Barrington / 2007-2012, Essay by Suzie Wildfire. 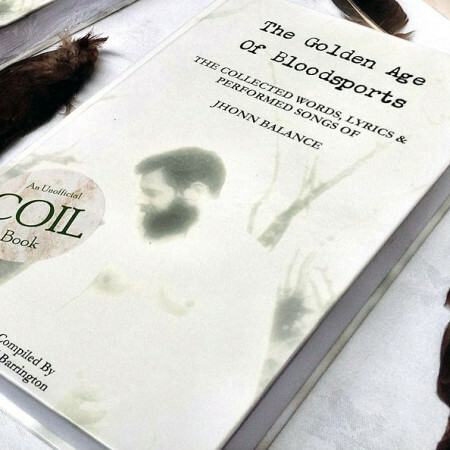 A Limited Edition Hardcover book. 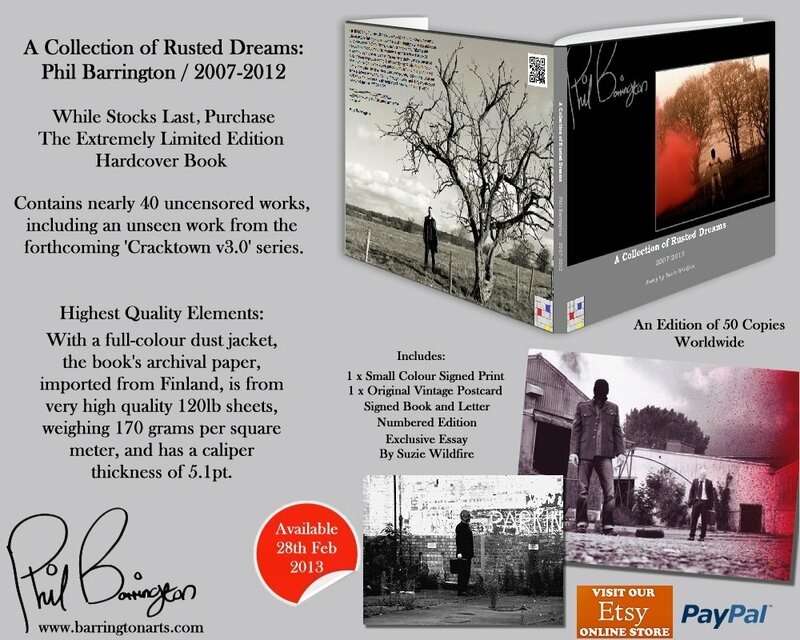 Limited Edition of 50 worldwide, this brand new highly collectable hardbacked book, signed by the artist, contains nearly 40 uncensored fine art photographic artworks, including a previously unseen work from the ‘Cracktown v3.0’ series of works. With a full-colour dust jacket, the 8.75″ x 11.25″ book’s archival paper is from very high quality 120lb sheets, weighing 170 grams per square meter, and has a caliper thickness of 5.1pt. 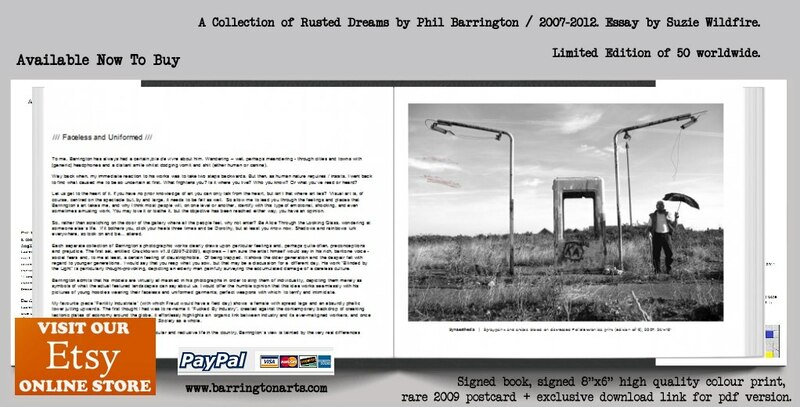 Alongside the signed book, you also get a signed 8×6 high quality colour print, rare original postcard from 2009 and signed letter.